Neck bones are a Southern delicacy. There are beef neck bones, pork neck bones and as I recently discovered, lamb neck bones. 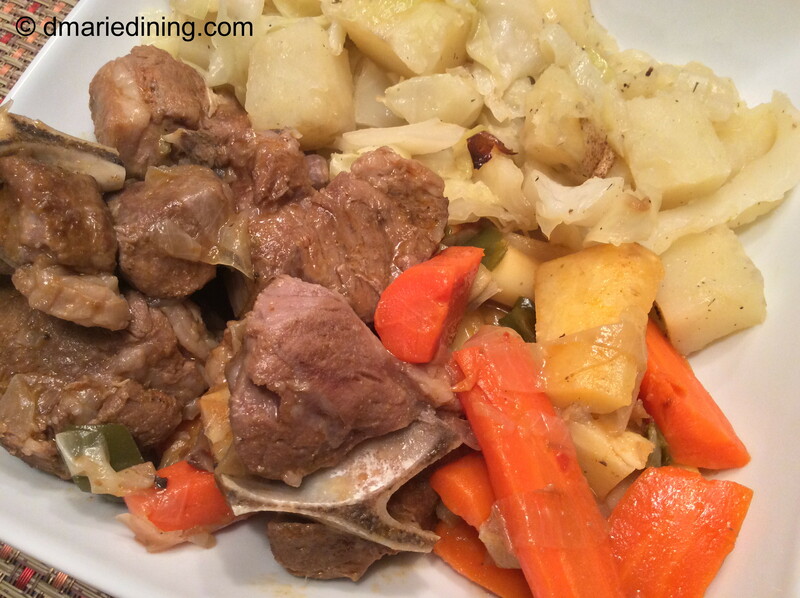 Beef and pork neck bone recipes are pretty basic. I smother them in onions with a lot of good seasonings and chicken broth. Then I use the strained neck bone broth to flavor some white rice. Add some collard greens or steamed cabbage and you have heaven on a plate. Lamb Neck Bones are not really Southern or at least not in my mind. 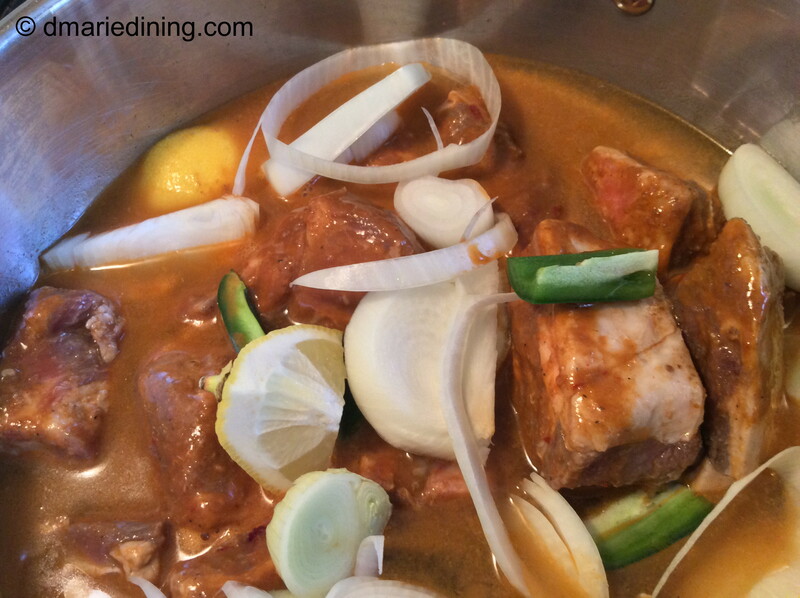 When I picked up a couple of packs of lamb neck bones my mind landed on creating a Greek or Turkish recipe. Hence, my Turkish Lamb Neck Bones. I wish I could say I have experience in making Turkish cuisines but I don’t. So, to make my job easy I bought a package of Turkish marinade to help my recipe along. The marinade was fragrant with the scent of cumin, garlic and tomatoes. These seasonings were deeply infused into the lamb which made it extra flavorful and the meat was very tender from the marinade. My Turkish Lamb Neck Bones may not have been southern but they were still heaven on a plate. 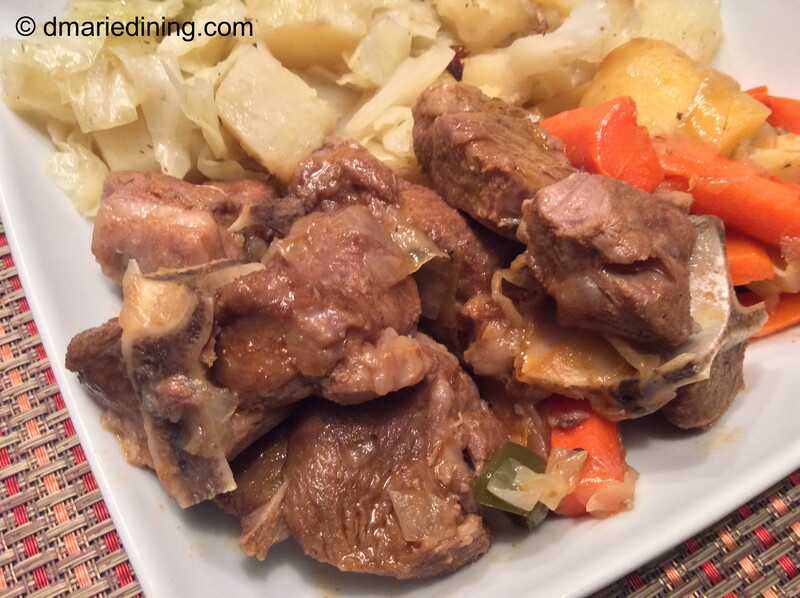 If you ever run across lamb neck bones or feel bold enough to ask you butcher if he has any, you should try this recipe. You will be pleasantly surprised at how delicious it is and how easy it is to make. Wash lamb neck bones. 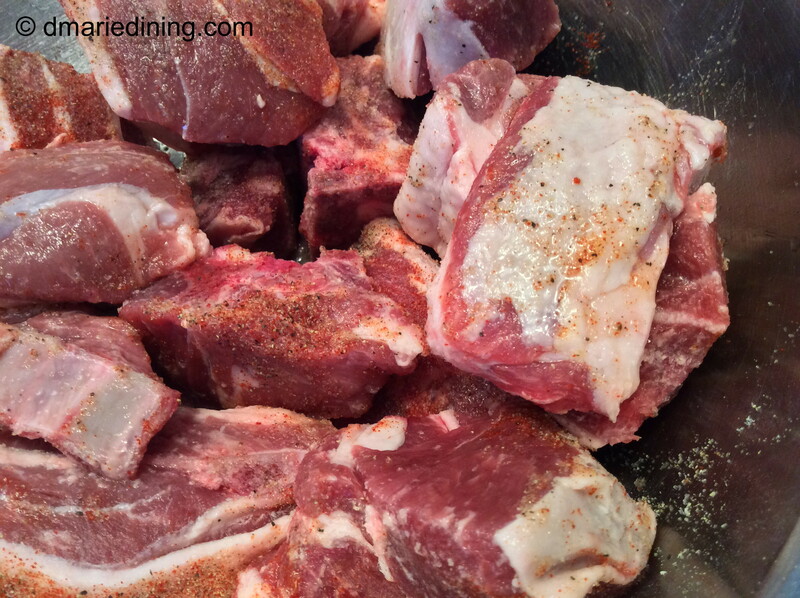 Place neck bones in a large bowl and season with salt, black pepper, onion powder and cayenne pepper. Toss to coat with seasoning. Pour marinade over the lamb then place meat in a large plastic zip lock bag and lock. Massage the marinade into the meat. Place in the refrigerator overnight or at least 4 hours. Remove from the plastic bag and place in a large pot with water, chicken broth, marinade, onion slices, lemon and jalapeno peppers. Cook lamb over medium heat for 1 ½ hours. Stir occasionally and add more liquid if necessary. 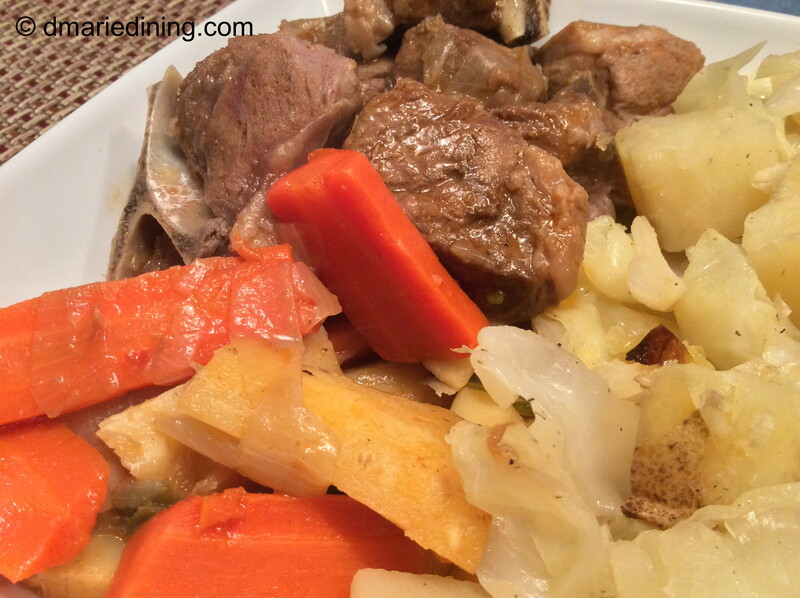 Remove lamb neck bones from pot and place in a large casserole dish. Top with carrot slices and cover. Cook for 20 – 25 minutes until the carrots are tender. Serve with steamed cabbage or sauteed sweet potatoes.